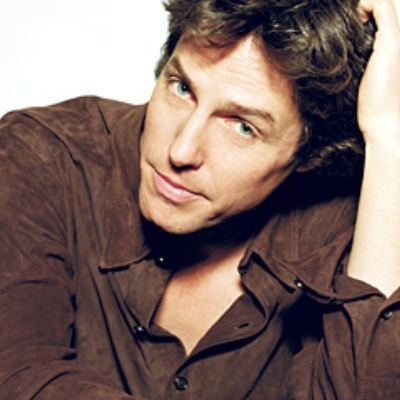 Hugh John Mungo Grant (born September 9, 1960 in London, England) is an English actor and film producer. In 2007, Grant starred opposite Drew Barrymore in a parody of pop culture and the music industry called Music and Lyrics. Though he neither listens to music nor owns any CDs, Grant learned to sing, play the piano, dance and studied the mannerisms of prominent musicians to prepare for his role as a has-been pop singer, based loosely on Andrew Ridgeley.